This reminds me of some of the drinks I had in Oman in 2011. They were rich, “creamy” and often sweetened with dates. fresh apricots, stone removed . I used 4 but they were tiny. I measured them in a cup to make it a and it was 1/2-3/4 of a cup of apricots. 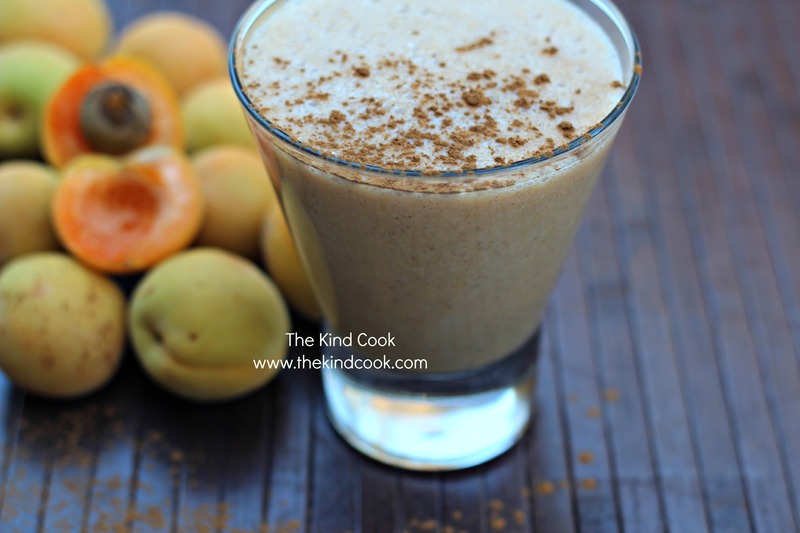 This would be a perfcet way to start the day and would be gorgeous made raw with home made almond milk and dates. Notes: Almond milk is available in pretty much any supermarket these days in the UHT milk section.